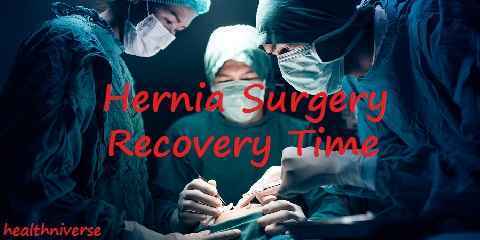 Hernia surgery recovery time for every patient is different from one to another, depending on the hernia surgery type they have gone through. There are patients that feel no pain right after the surgery, but there are also some who suffer from moderate to severe pain after the operation. 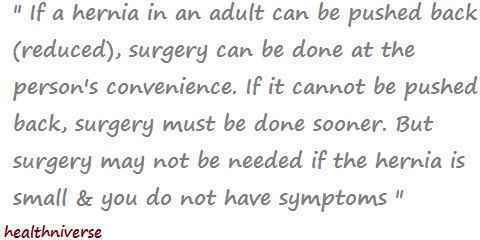 Hernia surgery recovery patients need to stay away from any work to minimize the risk of swelling. 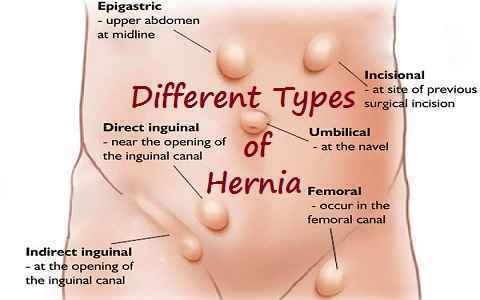 What is Hernia and Its Types? The inguinal hernias are mostly found in men than women. This hernia occurs when intestines push over a tinny tear or weak spot in the inguinal canal, which is in the groin area. For men, the inguinal canal is the area where cord, which holds the testicle, of sperm goes to the scrotum through the abdomen. While in the women, the inguinal canal is a muscle that holds the uterus in place. The hiatal hernia happens in the upper stomach. It occurs when part of your stomach squeezes through the opening in the diaphragm, a tissue of muscle that helps you breathe, into your chest cavity. This type of hernia can be found in the newborn baby under the age of 6 and happens when the part of intestine pushes through the abdominal wall near the belly button. The incisional hernia happens after an abdominal surgery and the intestines push through the weakened tissue of post surgery scar. Can Somebody Die From a Hernia? For post-surgery patients, the recovery time that they experiences are vary. 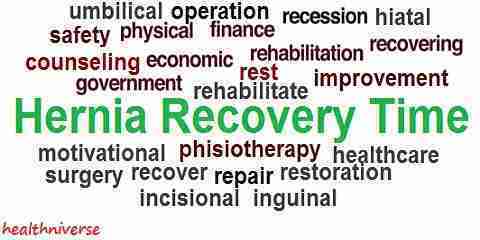 There are some who can recover right after the surgery, but there are also some who can’t recover in a short time. Most of the patients who have had hernia surgery & repair, recover in few weeks. On the first fourth day of the recovery time, the patients should stop all of their work. Use these times to recuperate your body. Do only the basic daily activities, such as walking around, eat and drink, and any other activities that won’t put a strain to your body. The next three days, the patients are able to get back 50% at their previous activities, work, school, etc. They are still not allowed to do heavy work, such as lifting heavy object. The pain will still be there but it is only mild. On the second week of recovery, the patients are almost starting to be able to do normal stuff with the lifting limitation no more than 20 pounds. The third week the patient strength has increase for about 10% of the previous week. On the fourth week, all patients will be able to return to their normal life once again, and even doing heavier exercises. It is to be expected to feel pain after the repair procedure. There will also form a swell, bruise, and burning sensation in your groin area during and after their hernia surgery recovery time.